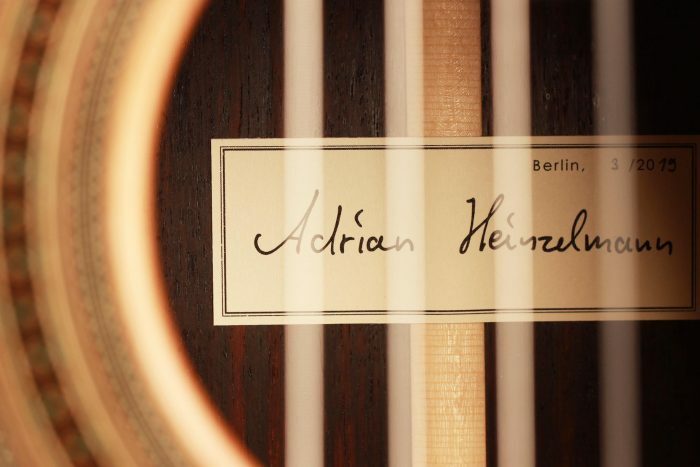 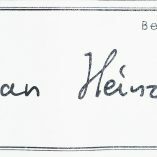 Adrian Heinzelmann is one of the most talented German luthiers of his generation. 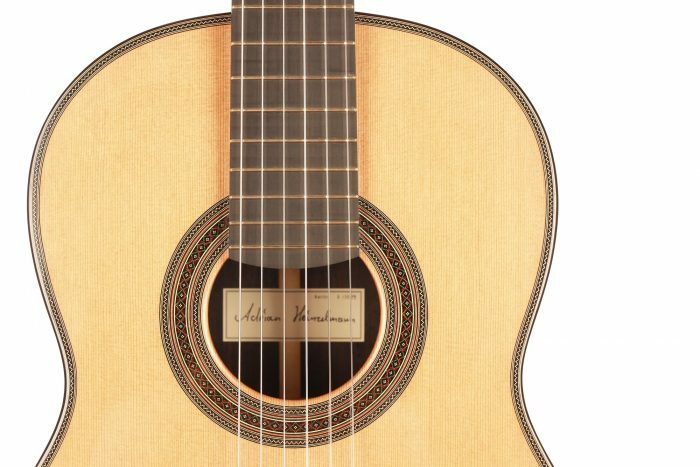 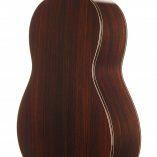 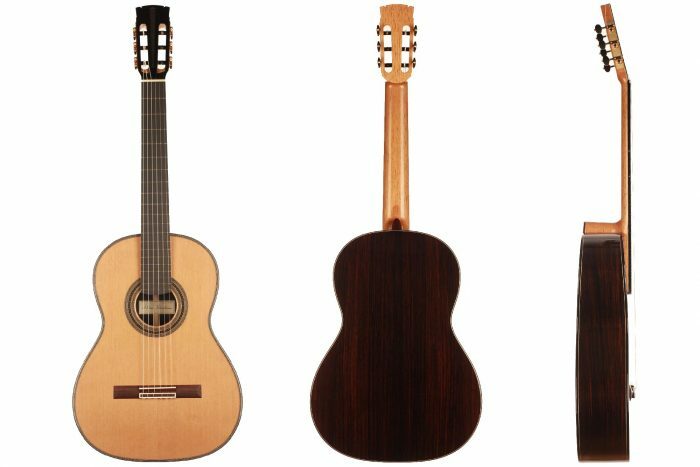 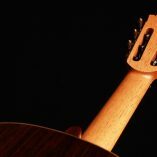 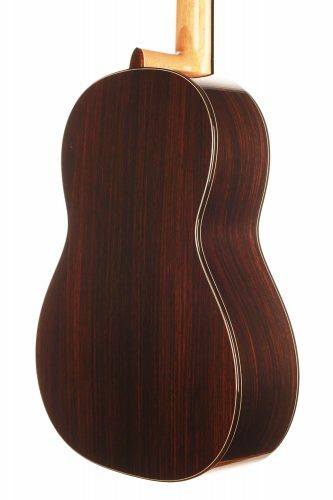 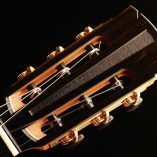 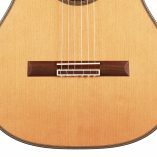 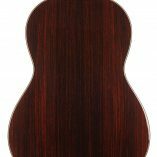 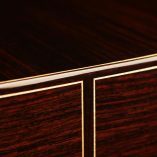 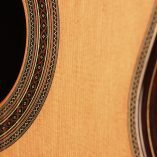 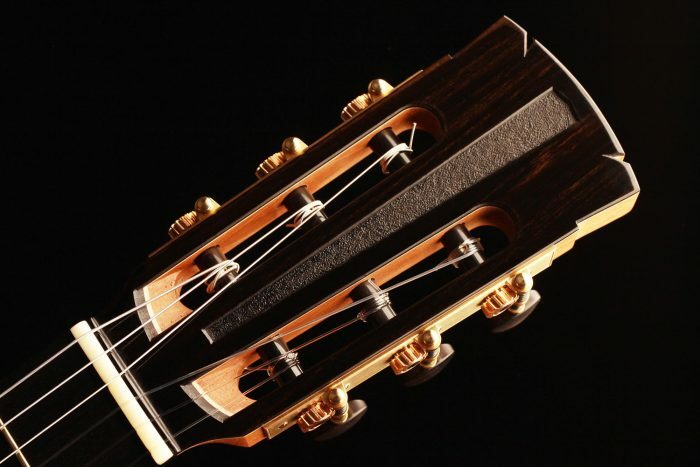 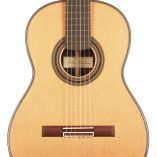 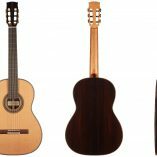 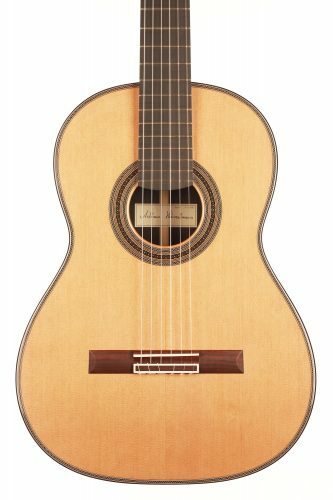 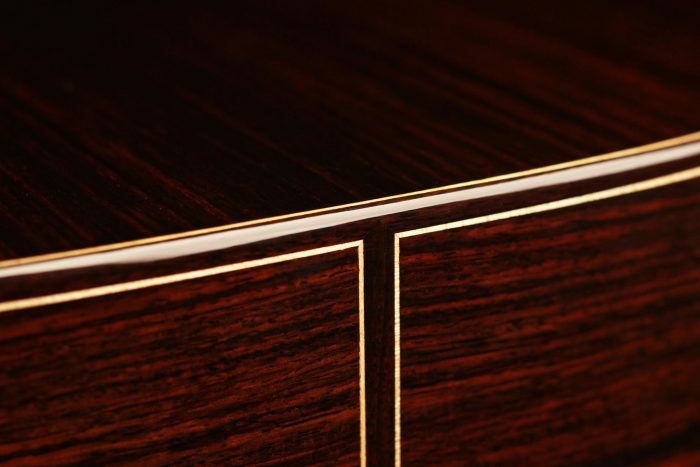 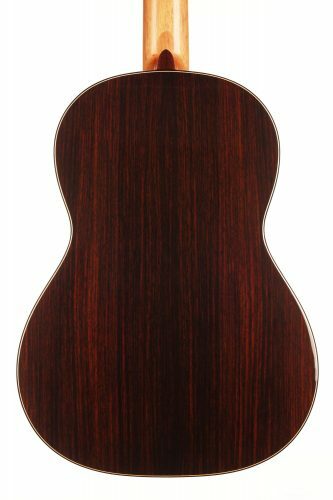 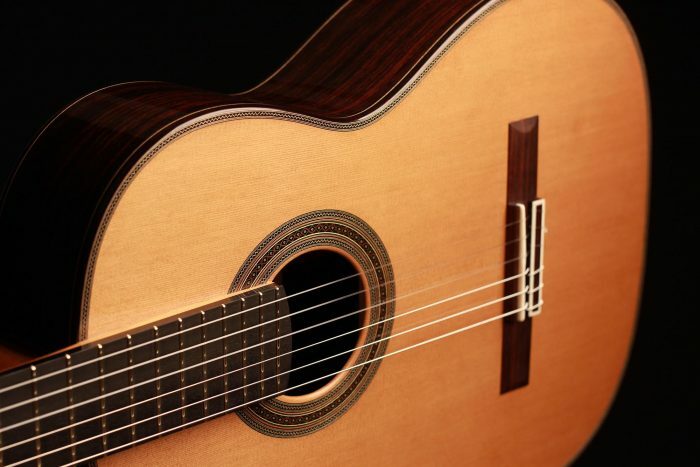 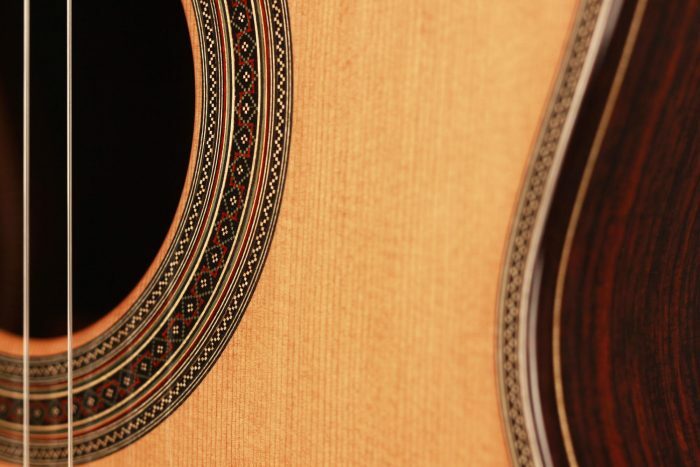 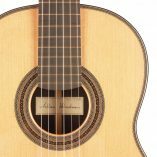 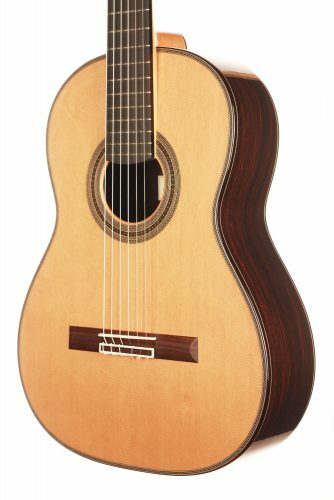 His guitars are of great finesse with an aesthetic that combines the Spanish tradition and the modernity for which German luthiers are universally recognized. 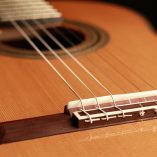 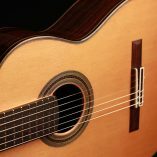 His guitars are played by many talented teachers, soloists and students, and have already proven themselves in major European concert halls. 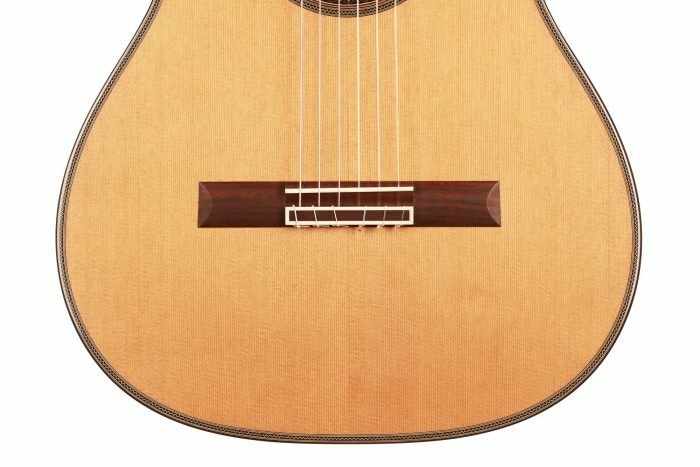 Adrian Heinzelmann’s lutherie is unique in the way he handles the soundboard construction. 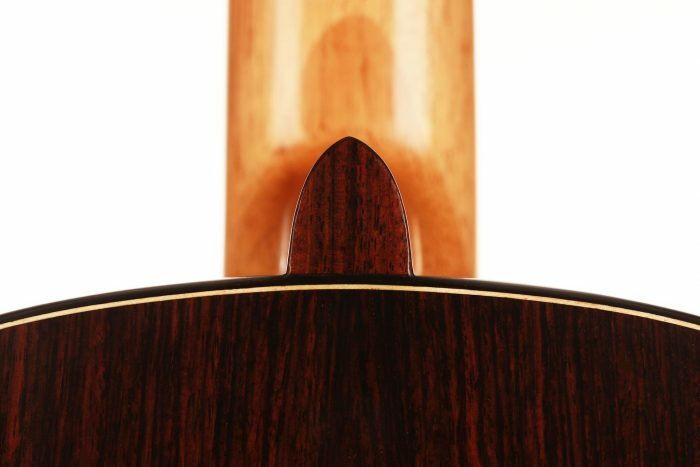 Many narrow parallel trenches are carved in the inside of the piece of cedar to optimize its weight and flexibility. 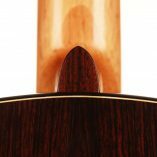 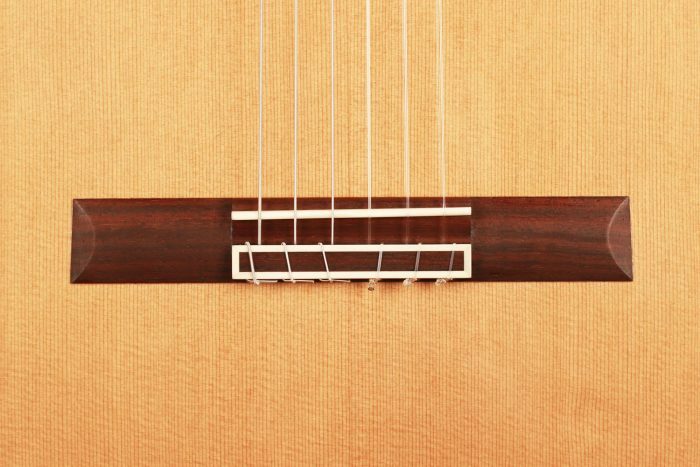 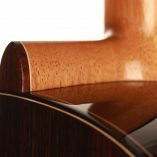 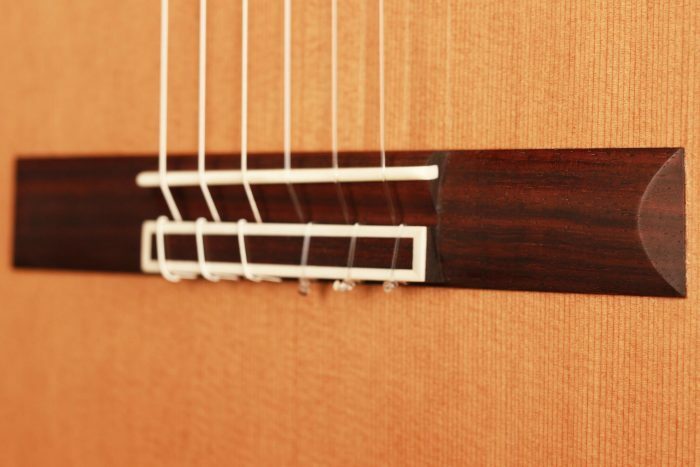 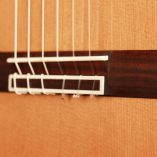 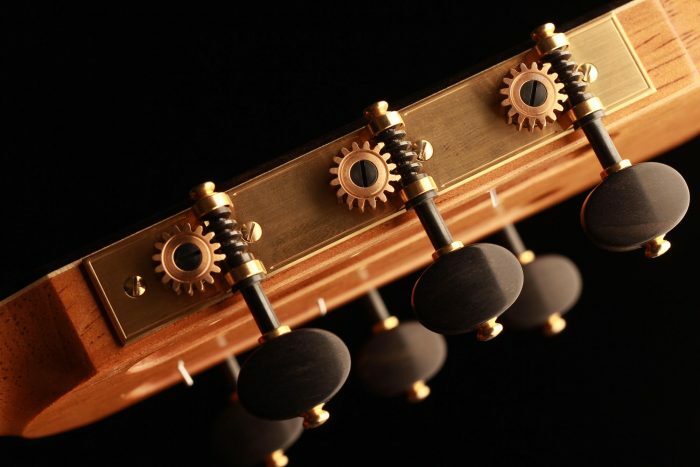 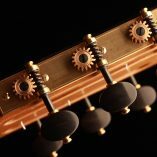 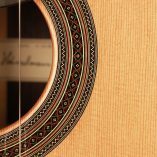 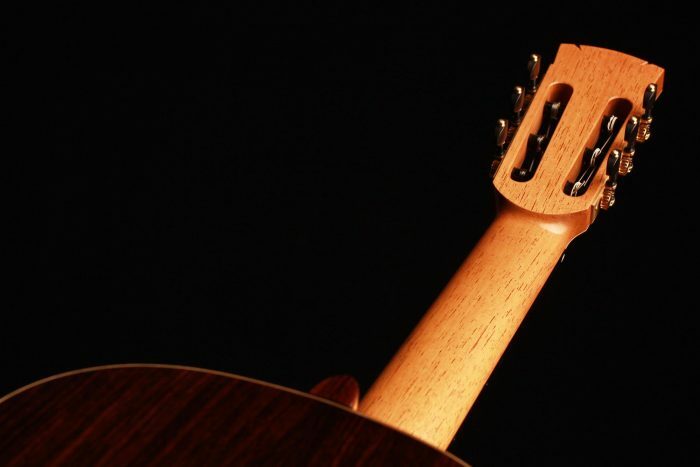 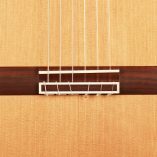 This technique, combined with a lightweight lattice bracing, gives an instrument of great sensitivity and impressive volume. 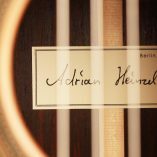 Playing Adrian Heinzelmann’s guitar gives a feeling of confidence and pushes the guitarist to go beyond his limits. 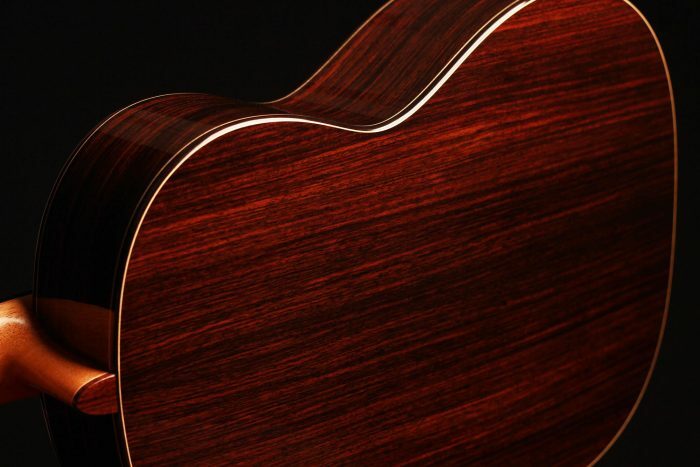 This guitar is both very smooth in tone and incredibly dynamic. 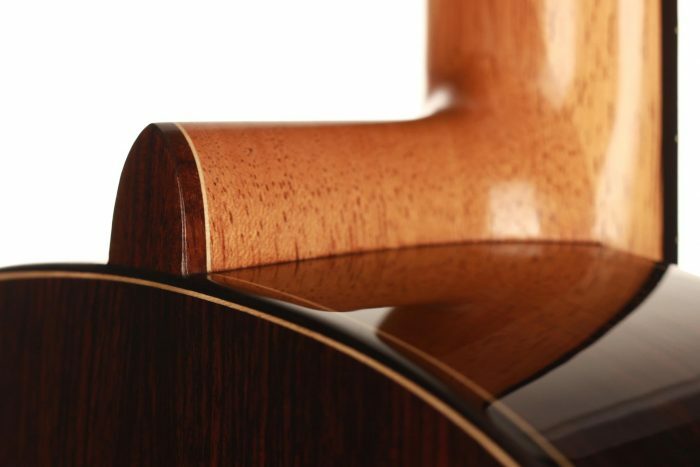 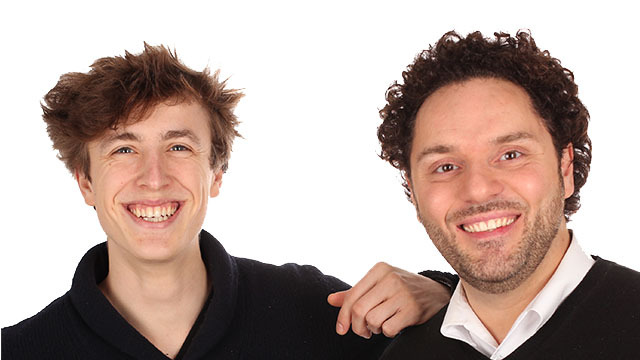 The trebles are very pleasantly resonant, and the basses are highly precise. 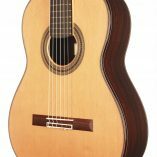 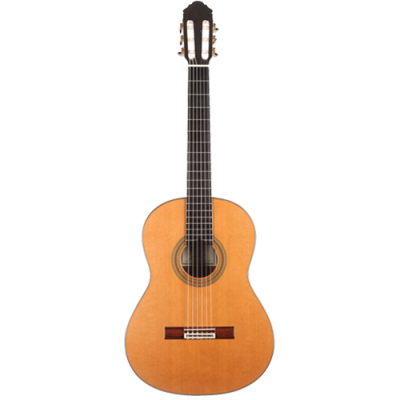 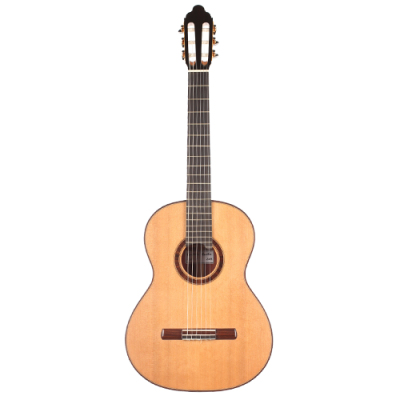 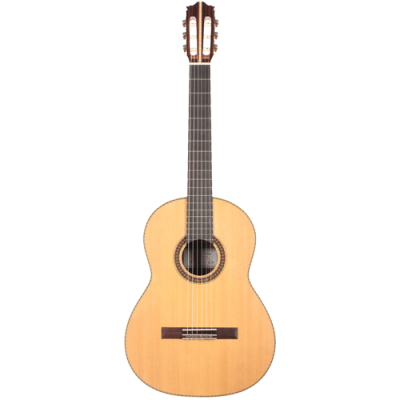 The responsiveness of this guitar is of great support for a technically advanced guitarist and allows a perfect control of dynamics, colours and timbres. 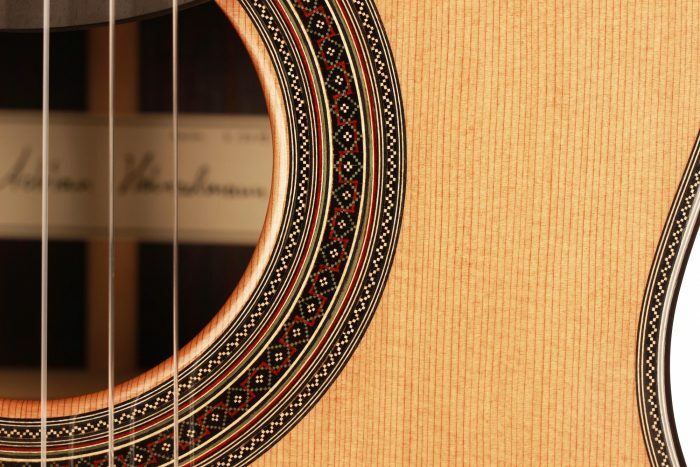 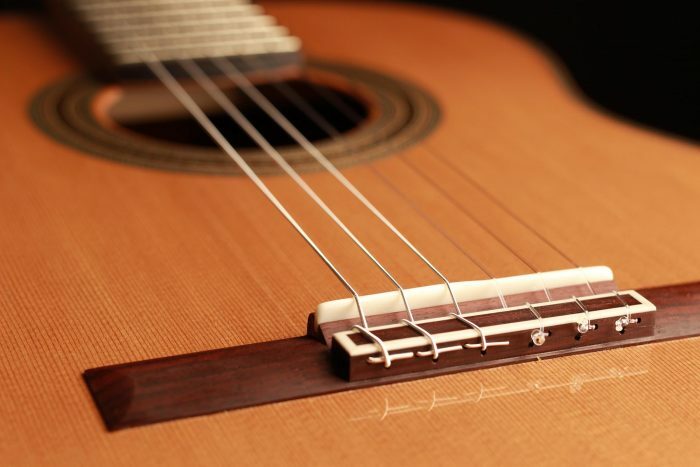 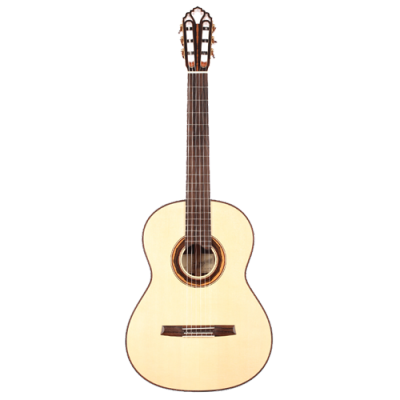 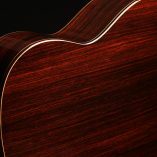 It is an instrument of great lyrical expressiveness and flawless acoustic qualities.